Soccer Stars is super addictive online game. 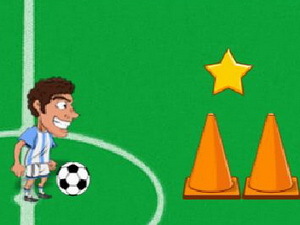 Compete to be the champion and become a soccer star in this fun game. Challenge your friend to play against you in the world soccer championship and become the champion. Move in the game with the arrow keys or the W, A, S and D keys, use the J, K and Z and X keys to kick or pass the ball. Become a global soccer star and lead your team of skilled footballers to world glory. Soccer stars is one of the best world cup games that you can play on the net. Play this fun game and have a lot of fun in your free time!